IIM Amritsar achieved yet another milestone of accomplishment as the final placements for PGP 2016-18 batch concluded on a high note. The Institute ensured 100% placement well ahead of graduation of its second batch that comprises of 104 students. 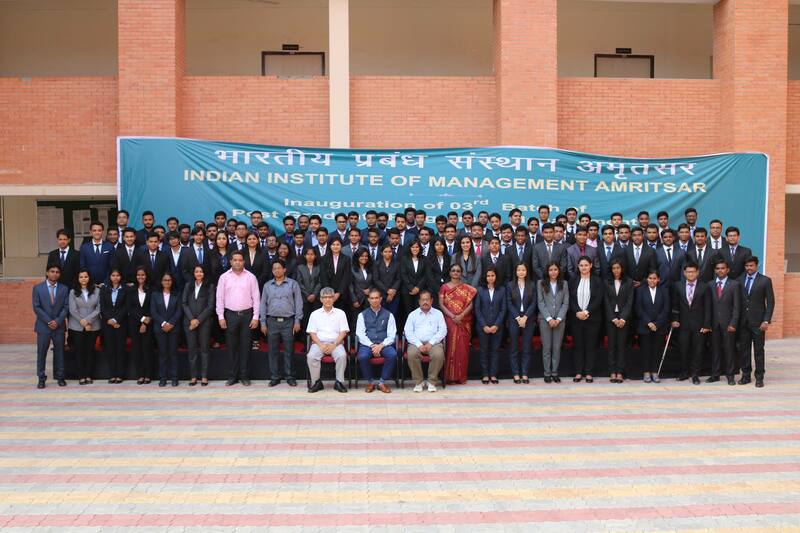 At present, IIM Amritsar has the largest batch size among all the third generation IIMs. In a first for the institute, seven students of the institute received outstanding international offers, with the highest offer of 54 LPA. The salary offers at IIM Amritsar, in general, saw a significant rise this year. The top 10% of students secured an average salary of 22.3 LPA, which testifies the interest of marquee companies in hiring from IIM Amritsar. The average salary offer for the outgoing batch is 11.93 LPA, a substantial increase of 16.28% from the previous year. Attracted by the diverse background and skill set of the students, a large recruiter pool comprising of various organizations offered roles across all prominent domains of management including Marketing, Finance, HR, Operations, Consulting, IT, Analytics and General Management. While the Institute continued its past associations with prominent recruiting partners like ICICI Lombard, Muthoot, Shopclues, Motilal Oswal, etc., this year, it built new associations with prestigious organizations including Amazon, Accenture, Tolaram, CRISIL, Infosys, Virtusa, TCS, SOTC- Thomas Cook and Walmart. The outgoing batch had students from diverse backgrounds like BA, BSc, B.Com and BBA, and it was comprised of a good mix of both freshers and experienced students. While there were 43 freshers in this batch, the remaining joined the PGP programme with an experience ranging from several months to years. This batch had 14 female students among its total of 104. Expressing his satisfaction with the placement outcomes, Prof. Kulbhushan Balooni, the Mentor-Director of IIM Amritsar, said, “I am happy and satisfied about IIM Amritsar’s progress.” As the Institute concluded its final placements, Placement Chair Dr. Arun Kaushik extended the credit of this accomplishment to the placement team as well as the whole IIM Amritsar fraternity. IIM Amritsar is currently running under the mentorship of IIM Kozhikode Director in-charge, Prof. Kulbhushan Balooni, whose continuous support and involvement has made the institute achieve this height of success within a short span since inception. A detailed report is under internal audit and will be published soon.